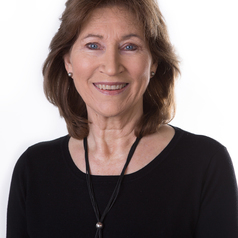 Dr Lynne Reeder is an Adjunct Research Fellow in the Faculty of Health at Federation University Australia. In 2015, she completed a study that examined the role of empathy conversations as a policy resource, later presenting the findings at the 3rd Global Empathy conference at Oxford University. She has previously worked at the University of Melbourne and ANU in both academic and knowledge transfer roles. Lynne trained as a meditation teacher with Deepak Chopra in the US and currently teaches mindfulness at a regional hospital-based Wellness Centre. As a Board Director of the public good Think Tank Australia21, she created the Mindful Futures Network, to map innovations in the science of mindfulness, empathy and compassion within Australian organisations; and leads the Australian Compassion Council of the Charter for Compassion, a global network of collaborative partnerships. She completed her PhD at Monash University on the international relations theory of global interdependence and has extensive experience in policy development working for national associations such as the Committee for Economic Development of Australia and Professions Australia.